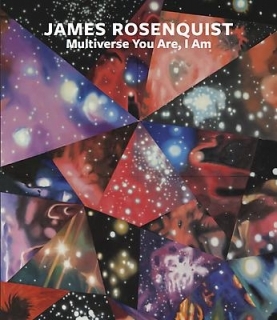 (New York, NY) Acquavella Galleries is delighted to present Multiverse You Are, I Am, an exhibition of new work by renowned Pop artist James Rosenquist from September 10th to October 13th, 2012. The exhibition will feature eleven paintings – two of which are monumental in scale – that reflect the artist’s continued interest in time and outer space. 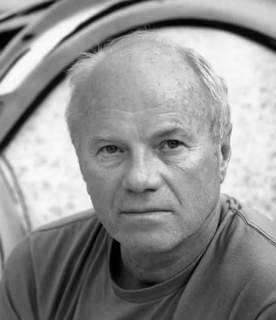 James Rosenquist is one of the most celebrated artists of our time. Known for his leadership in the American Pop Art movement, James Rosenquist began his career as a billboard painter in New York City. This experience inspired him to work on a large scale. With bright Day-Glo colors and a sleek aesthetic, Rosenquist’s early work juxtaposed fragmented images derived from advertising to create enigmatic, thought- provoking narratives that foster a dialogue about consumer culture. Throughout the 1970s, Rosenquist continued to paint works with cultural and political themes. He also experimented with unconventional materials and site-specific installations. In 1976, he built a house and studio in Aripeka, Florida to accommodate the ever-increasing size of his work and his numerous large-scale commissions. Inspired by the Florida climate, Rosenquist completed a series of vibrant paintings about reincarnation which included tropical flora and fauna, people, and animals in the 1980s. James Rosenquist (b. 1933) was born in Grand Forks, North Dakota and trained at the Art Students League. Rosenquist has exhibited in prestigious museums and institutions around the world including The Whitney Museum of American Art, New York; Wallraf-Richartz-Museum, Cologne; Deutsche Guggenheim, Berlin; and the Guggenheim Museum, New York, among others. His work is also included in the permanent collections of renowned institutions such as the Museum of Modern Art, New York; The Metropolitan Museum of Art, New York; Centre Pompidou, Paris; Deutsche Guggenheim, Berlin; The Detroit Institute of Art; San Francisco Museum of Modern Art; Dallas Museum of Art; Guggenheim Bilbao; Iwaki City Art Museum, Japan; The Los Angeles Museum of Contemporary Art; National Gallery of Canada, Ottawa; The Tate Modern, London.